Give Your Mother the Sweet Gift of Tungsten Toffee! In case you don't know yet, Mother's Day is in TWO DAYS! If you are still searching for that PERFECT gift for your special Mom, give her a very delicious treat from Tungsten Toffee! They are one of my favorite toffee companies and they always give a great treat to my taste buds with their toffee! 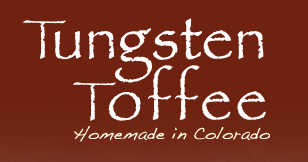 Tungsten Toffee is a Colorado family owned business with a commitment to supplying only the highest quality products. 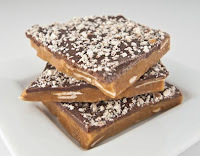 They have spent years developing the absolutely perfect toffee recipe. Getting the correct blend of the finest ingredients to create this high altitude delight has been their goal from day one. All products are handmade to in their Nederland, Colorado facility in small batches from the finest, freshest, and most natural ingredients to assure perfection every time. The result is an amazingly thin toffee that melts in your mouth! The Sweet Milk Chocolate Toffee is Tungsten Toffee’s original signature toffee flavor. 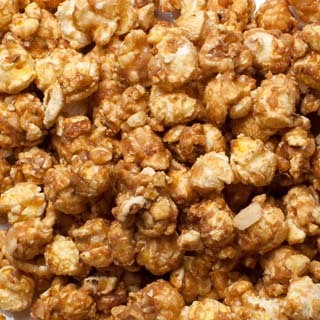 It is made with Sweet Cream Butter, Pure Cane Sugar, and Sliced Premium California Almonds. They then top it off with a generous layer of the finest Milk Chocolate and finish it off with a dusting of crushed #1 Fancy Pecans. It is absolutely TO DIE FOR and melts in my mouth! I love the crunch and I love the sweetness! The Smooth Dark Chocolate Toffee is my favorite treat from Tungsten Toffee! 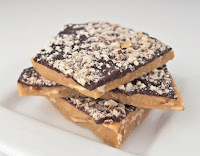 It is made the exact same way as the Sweet Milk Chocolate Toffee with the exception of using a unique blend of Dark Chocolate to create an exceptionally smooth dark chocolate topping, which is then dusted with a generous layer of crushed #1 Fancy Pecans. I love that they offer a Dark Chocolate variety and it is equally good as the Milk Chocolate (if not better, in my opinion!). Tungsten Toffee has a toffee variety for all taste buds! Whether your mother likes milk chocolate, dark chocolate, peppermint, or even popcorn, there is a Tungsten Toffee gift for them this Mother's Day! Buy It: You can purchase all Tungsten Toffee products on the Tungsten Toffee website.